The baseball world moves very fast. 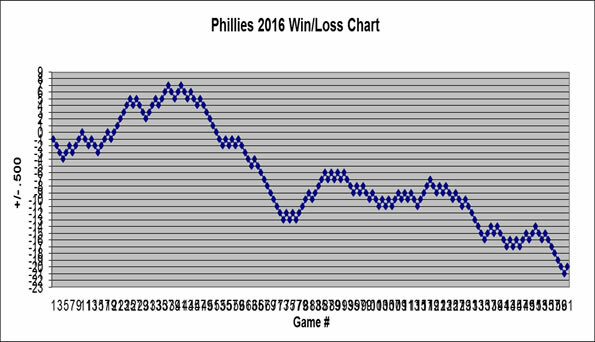 That’s why I always find it interesting at this time of year to think back to where the Phils were last year. You might be amazed at how much you forget in just one year, so I thought I would remind you through a short hike down memory lane. After their best regular season ever with 102 wins, last offseason was supposed to follow the Phils second championship in four years. Instead, it followed their earliest postseason exit since 2007. They not only lost in the first round to the St. Louis Cardinals, but it was a 1-0 loss in the decisive fifth game with Doc on the mound and concluded with Ryan Howard crumbling to the ground on the very last pitch. And thus began the Phillies offseason. They started with some housekeeping and declined the options on Brad Lidge and Roy Oswalt. With Lidge and Oswalt officially gone, the attention turned to the role of Phillies closer. After reportedly making an offer to Ryan Madson, who was now a free agent, they turned around the next day and signed Jonathan Papelbon to a 4 year/$50 million deal. The Phillies then had a decision to make at shortstop. Would they re-sign Jimmy Rollins? After some posturing on both sides, the Phillies ultimately elected to keep J-Roll and signed him to a three-year/$33 million deal. Surprisingly enough, that was it for Ruben Amaro’s high profile moves. Amaro proceeded to add Jim Thome, Ty Wigginton, Laynce Nix, Chad Qualls, and Juan Pierre. The Phillies also said goodbye to Raul Ibanez, traded Wilson Valdez and Ben Francisco, and sent Domonic Brown to the minors. They also brought in Dontrelle Willis and later released him. Rather than rip off old scabs, suffice it to say that it was a bad offseason for Ruben Amaro. They also kept some of their own and re-signed Kyle Kendrick and offered arbitration to Cole Hamels. As with every offseason, there were plenty of other storylines to keep us interested. --After surprising everyone with an 11-3 record and a 3.01 ERA in 2011, what would the Phillies get from Vance Worley? --Was John Mayberry, who hit .315 with 10 HR and 25 RBI down the stretch in 2011, ready to become the next Jayson Werth? --How would Jonathan Papelbon perform as the Phillies new closer? --When would Ryan Howard return? Could the Phillies tread water until then? --Would Chase Utley ever take the field? --Was Roy Halladay hiding physical issues? The answers to the last three questions foreshadowed the eventual Phillies outcome and the Phillies were doomed from the start. Hopefully we aren't looking at a similar result in 2013. 10/20/2011 - Phillies retain all six major league coaches for the 2012 season. 10/24/2011 - The Phillies officially decline the 2012 options for the contracts of Brad Lidge and Roy Oswalt. 11/5/2011 - Phillies Sign Jim Thome to a one-year contract. 11/14/2011 - Phillies Sign Jonathan Papelbon to a four-year, $50,000,058 million contract. 11/17/2011 - Phillies re-sign Brian Schneider to a one-year contract. 11/20/2011 - The Phillies acquire Ty Wigginton from Rockies for a player to be named later or cash. 12/8/2011 - Phillies sign Laynce Nix to a two-year contract. 12/12/2011 - Phillies trade Francisco to the Toronto Blue Jays in exchange for left-hander Frank Gailey. 12/15/2011 - Phillies sign Dontrelle Willis to a one-year contract. 12/19/2011 - Jimmy Rollins signs a three-year, $33 million contract. 12/20/2011 - Ed Wade re-joins the Phillies as a special consultant to the Baseball Operations department. 1/17/2012 - Phillies sign Cole Hamels and Wilson Valdez to 2012 contracts. 1/25/2012 – Phillies acquire Jeremy Horst from Reds in exchange for Wilson Valdez. 1/27/2012 - Phillies sign Juan Pierre to a minor league contract and eventually add to official roster. 1/31/2012 - Phillies sign Chad Qualls to a one-year, $1.15 million (might I add disastrous?) contract. 2/19/2012 - Phillies sign Kendrick to a 2-year, $7.5 million contract. Stay tuned for a review of this past offseason.